It can be a daunting experience getting on the property ladder for the first time. You’ve been putting money aside, planning and spent time looking for the right property. It’s a key step in life and it’s important things go well. Like any big step in life, there can be pitfalls and every buyer needs to exercise caution. That’s where we can help. We pride ourselves on providing a personal, high-quality, conveyancing service for both our commercial clients and private individuals. We aim to be in direct contact with our clients, and respond to their specific needs. We don’t use teams or call centres: all our files are dealt with personally by dedicated conveyancers. That way, if there is a problem with the property you are buying or selling, it will be spotted straight away by someone with proper qualifications and experience. Similarly, if you need to tell us something, you can get in touch with the person who has control of your matter quickly and directly, without having to go through a telephone team. You should let the estate agents know as soon as possible that we are acting for you. You should also make sure you tell us that you want us to act for you (i.e. ‘confirm your instruction’). Remember to send both the estate agents and ourselves any information that may be needed as soon as you can. The estate agents will then put the seller’s solicitors in touch with us, you do not need to do this. Things will normally quieten a little after your initial instructions have been given while the seller’s solicitors obtain the seller’s title and prepare the contract documentation. During this period (if you have not done it already) you should make sure that you have your mortgage application in hand, and that your mortgage lender has all the information they may need from you. Once we have received documents, we shall send out any searches that need to be done e.g. local authority, drainage. The results of these normally take 10-14 days to come back. In the meanwhile, we shall raise any questions we have relating to the documents the seller’s solicitors have provided. Once your mortgage offer has been received, your search results are back and our queries have been answered, we shall arrange to see you to sign the contract and the other documentation. Contracts do not come into legal effect until exchanged (see step 5). Exchange of contracts is so called because we literally exchange signed copies of the contract with the seller’s solicitors on your behalf. The property still belongs to the seller at this stage, but from this point onwards, neither you nor the seller will be able to withdraw. You will usually be required to pay a 10% deposit on exchange of contracts, although a seller may accept less. This commonly takes place a week or so after the exchange of contracts, but exchange and completion can take place on the same day, or several months apart! The completion date is usually fixed on exchange of contracts. On completion, the purchase monies will be sent to the seller’s solicitors. Once they have received the money (normally around lunchtime) you will be able to collect the keys (often from the estate agents) and the property is yours. There is still work to be done after completion! We shall submit your stamp duty forms and pay any tax which may be due. We shall then register your ownership with the Land Registry. This is very important, as registration needs to take place to prove that you own the property. The post completion work normally takes 4-6 weeks. We have offices across Nottinghamshire and Derbyshire, so for those living in the East Midlands, calling to see the lawyer handling your file could not be easier. For clients further afield or unable to come in to the office we are only ever an email or phone call away. Moving home can be a stressful time, Emma provides a friendly service to make this time as stress-free as possible. 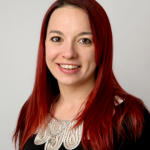 Emma is Head of our Conveyancing Department at our Beeston office.